Should you buy a PS4 now, or wait for the PS4 Black Friday 2014 deals? This is a common question and thanks to what we know about Black Friday it’s one we can help you answer. Black Friday video games deals are almost as exciting as Apple Black Friday deals when it comes to hoe much you can save on items that don’t traditionally go on sale all the time. We’ll take a look at three categories of PS4 Black Friday 2014 deals to help you know what to expect, and when to buy a PS4 this holiday season. In 2103 it was a deal just to find a PS4 in stock for Black Friday, but for the Black Friday 2014 sales we expect bigger savings on consoles and bundles as well as good deals on PS4 games and accessories. Expect a lot of PS4 Black Friday 2014 deals. With an Xbox One price drop, we could see more competition this year between the Xbox One and PS4 Black Friday 2014 deals. We expect to see at least $50 off the Xbox One, and Sony may beat Microsoft and chop the price lower. Sony isn’t trailing in sales like Microsoft, but this is an important holiday shopping season where more shoppers are going to pick between Xbox One and PS4 than last year. Here’s what we expect from PS4 Black Friday 2014 deals on the console, games and accessories. These predictions come from years of covering Black Friday, video games and shopping for our own Black Friday deals. Shoppers will find two types of PS4 Black Friday 2014 deals. Some stores will offer cash discounts on the console, while others will bundle in games and accessories to sweeten the deal. If you are looking for a great PS4 Black Friday 2014 deal that cuts the price up front you can count on at least $50 off. This will match a leaked Xbox One price in November. Dealnews predicts the PS4 will actually drop lower to $340 on Black Friday. Save $50 to $60 on good PS4 Black Friday 2014 deals. You’ll also see a lot of PS4 Black Friday 2014 bundles that pack in extra games, controllers and PS Plus memberships. Don’t believe the sticker price that the retailer lists for the bundle value, especially if they count games at $60 each. Many times the games included are older and regularly on sale for $30 or less. To make sure you are getting a good PS4 Black Friday 2014 deal, you need to price out the cost of each part and compare it to other Black Friday deals and regular online prices. Bottom Line: PS4 Black Friday 2014 deals will deliver at least $50 in savings, and potentially more. If you can find a good PS4 Black Friday 2014 deal, jump on it as they will sell out fast in stores and online. Expect deals starting the week before and going through Cyber Monday. You can count on PS4 Black Friday games deals that drop at least $10 off the price of new releases at retailers like Amazon, Target, Walmart and Best Buy. This is a great time to stock up on new games for holiday presents. On top of these offers you can also expect to see Buy One Get One deals that offer a second game for 50% off online and in store. PS4 Black Friday 2014 games deals offer a cheap way to build your library. Also keep an eye out for rock bottom prices on older PS4 games that could show up as doorbusters for $10 to $20 each. 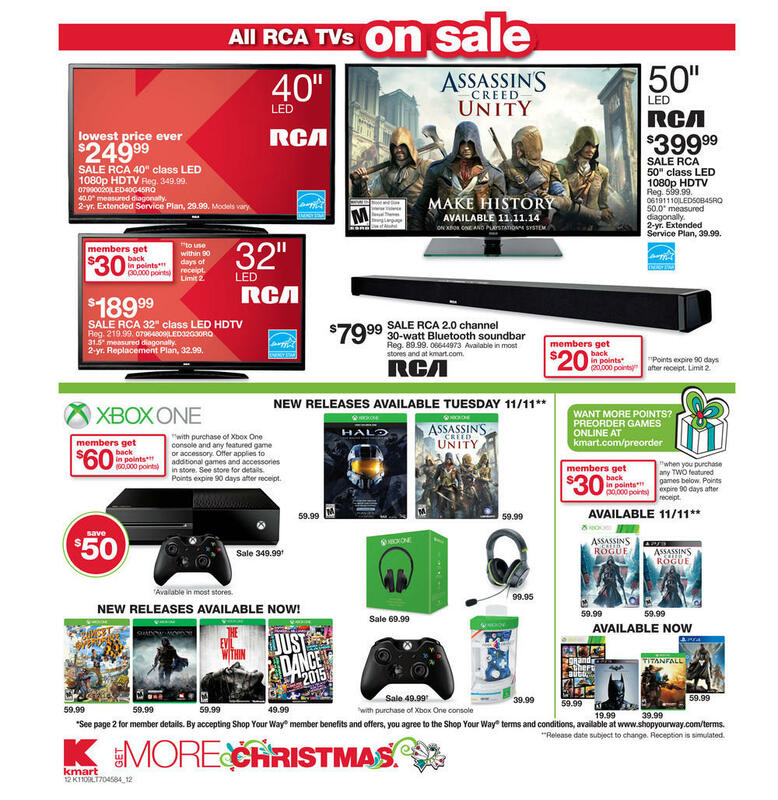 Bottom Line: PS4 Black Friday 2014 games deals of $10 off new releases and Buy One Get One promotions. When possible try to buy your PS4 Black Friday games deals online as in store stock always sells out fast and the savings on games is not worth standing in line for hours. If you need to add to your gaming setup, you’ll find savings thanks to PS4 Black Friday 2014 accessory deals. The three things to look for are controllers, headphones and PS Plus memberships. There are three categories to expect PS4 Black Friday 2014 accessory deals in. We are hopeful to see $10 off a PS4 controller, big savings on headphones from Amazon during lightning deals and PS Plus memberships that might go for 50% off. Bottom Line: PS4 Black Friday 2014 accessory deals focused on headphones and controllers. All of these deals worth buying will be online. Don’t stand in line for accessories that will sell out fast and only offer a few dollars in savings. Proofread your article. 2103. Hoe.